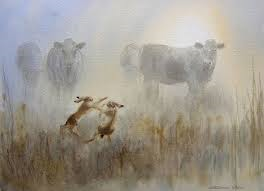 The paintings of the farming subjects are so vivid and real. We live opposite a sheep farmer and these scenes could be Ronnie himself. I have always liked Hares in art and for my Christmas present Jon chose one I had admired at a nearby gallery in Thornton-le-Dale. Once the Christmas tree has been taken down and put away I have the perfect spot ready! Food shopping all done...presents bought....cards...ahem as I speak! 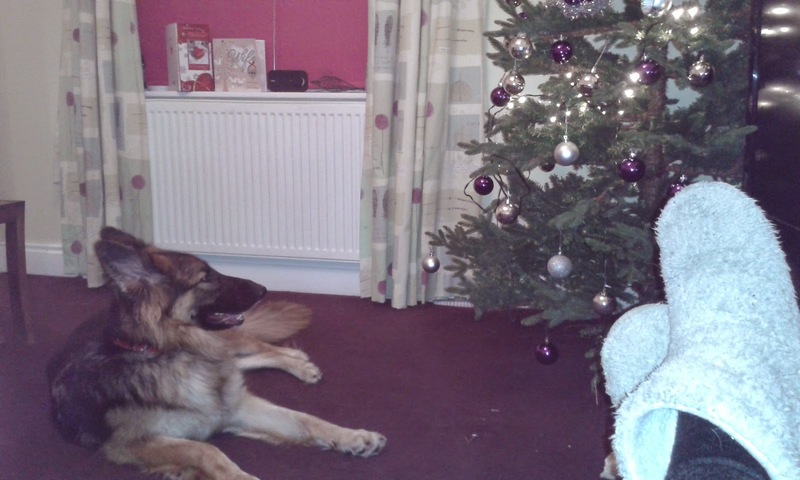 As you can see Bing likes the tree! Enjoying a spiced rum & coke. This time tomorrow I'll be sorted - just my lists to do now.....and a surprise to orchestrate! Today I made the wreath for our gate. Looking at it I can see I need to add some more greenery at 5 o'clock. Christmas card photographs have been chosen and I have had notification that they have been despatched. We will be getting the tree down from the loft during the coming week.........meanwhile I have a stag's head idea! V is for Vegetable - but not as you know it. I LOVE turnip - as a child I hated it, probably because Auntie Dot always made gravy with kidneys - which I despise to this day. I always would say I didn't want any kidney, or to leave it out of any steak & kidney concoctions - Auntie Dot would tell me to "Just eat the gravy!" Brussels sprouts, cauliflower and cabbage were another examples. Getting back to the turnip. 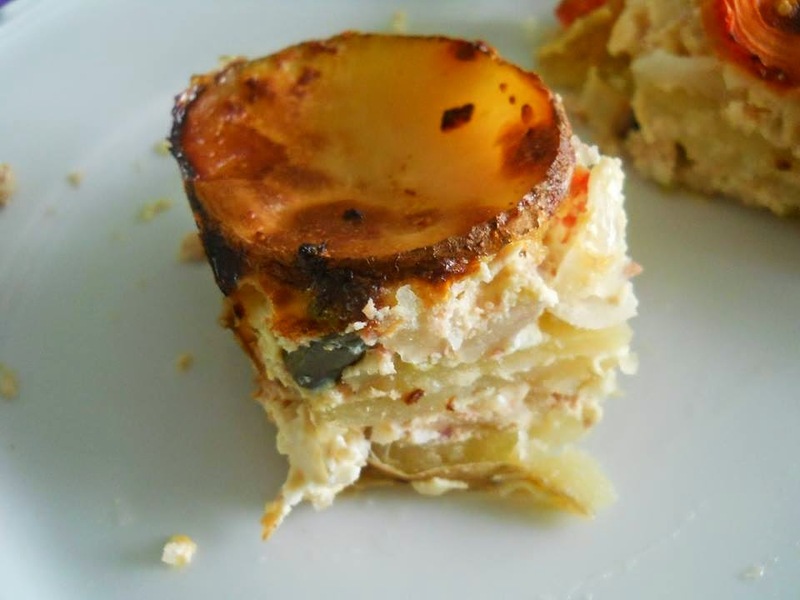 Whilst I love vegetables sometimes if I fancy a few together it can be a bit of a faff on - so when I heard about a "Singing Turnip" recipe at Slimming world I had to give it a go. Place turnip in microwave - full power for 15 - 20 minutes, turning once. You will hear the turnip singing! Scoop out the pulp - absolutely gorgeous. I had made some ham hock, split pea, lentil, barley and vegetable soup, so I spooned some into the cooked turnip and ate as I would a baked potato - skin and all. The radiator has now been sandblasted and spray painted. Jon just needs to connect the pipes etc. I have repaired the chair - but have plans for the rug. Wardrobe assembled - yet to be organised. The curtains have been altered. I have plans for this card - I want to have it framed. There is an air-vent in the room - behind a picture my SIL bought me a couple of years ago. Pleased with the new carpet. My favourite piece is the washstand. Jon put the wardrobe together over a period of 3 nights - an hour a night I would say, so the DIY/Flatpack skills are once again on the go - so it's a shame not to use these skills so today we are going to Ikea to buy a daybed.........watch this space! I hate wasting food, whilst these day old scones looked appetising I knew they wouldn't taste as good as they did yesterday, besides I don't really eat scones - yes I love them but I am thinking of my waistline! and the girls soon tucked into their breakfast. They are coming out of their moult now, so we will be getting some eggs shortly. The trees are showing the definite signs of Autumn. There are a lot of leaves to be collected, a job I'll have to get well wrapped up for. The coalman will be delivering on Wednesday so we are keeping warm. My contribution for ABC Wednesday......a cold one I suspect! My neighbour Anne is my curtain guru. Whilst she has been away for a few days I decided to embark on the task of altering the new curtains for our bedroom. ...... there was a hitch! I cut too much off and had to join up the curtain length with a seam. I did that and am now hemming both curtains. All the time I was going through the various actions it would seem there was an alternative......to remove the rufflette tape and cut from the top - thus saving the bother of re-hemming. This was pointed out to me by a friend as I pinned the hem. I was informed that the hem will never be as good as the original one. Well hindsight is a marvellous thing but in one way I have enjoyed the whole process of re-stitching, pinning, bleeding and altering the curtains. Today the wardrobe arrives - sometime between 12 noon and 6pm. I will receive a phone call when the delivery van is approximately 1 hour away. Jon needs to go and collect a parcel - so it just may be that I go and collect the parcel and Jon sees to the delivery - who knows if that is the case he just may well assemble the wardrobe by the time I return! Whatever the case next time I write here I should have a photo of the completed room to share. In the meantime don't look too closely at the photo or you will see the spots of blood caused by the pins! I must go and remove the stains, never mind writing about it! ABC Wednesday S for Sewing and in my garden S is for STILL have more bulbs to plant! This has to be the most talked about and sampled recipe at my local Slimming World group. It is absolutely gorgeous and ideal for the cold nights. I miss out the garlic. Many years ago Jon and I were at an auction when this old lawnmower came under the hammer, I got it for £2. It has been a garden ornament for 20 years but Jon restored it for me....he made a new roller and a new handle, stripped all the metal parts and sharpened the blades. It cuts perfectly! The lawn is Jon's domain and loves nothing more than to sit on his lawnmower and spend a couple of hours getting the perfect cut - but for small area, or round trees this is perfect. It is a Ransom Henley model. The weather is very changeable at the moment - I do have more bulbs to plant which I need to do as soon as possible. The carpet fitter is coming tomorrow so I will shortly be able to get the room sorted. The wardrobe arrives next week so we'll be assembling it from the flat pack state it arrives in and organising the space. I am really pleased with the washstand - it has been just an ornamental piece for years, but it is an ideal height for my sewing machine and for working on my laptop -getting rid of the 2 desks was a worry as I thought I may have to use the dining table for any projects - but no worries there, the second bedroom will be the ideal place. Thursday is a day I have set aside to get our bedroom back to normal - with the addition of the new curtains and bedding. I did have a blonde moment involving the curtains. Don't ask me how it happened all I know is I cut the curtains......too short! After a massive panic I attached the various pieces, pinned, tacked and machine sewed them all together...now I just have to hem them - my next job after getting the room emptied for tomorrow. Whilst I maintain a healthy eating regime and maintain my weight loss, when the nights draw in and the days are cold I get the craving for good old comfort food. No pastry however and I skipped the mashed potato in favour of sliced potatoes to give more texture. I also used double onions - absolutely gorgeous. For Slimmingworld people - the whole pie was 2 syns - about 6 ample portions. I fancy doing some smaller portions for party/buffet food over the holiday period. 2 slices corned beef – heated for 1 minute in microwave on kitchen towel. 2 onions chopped & cooked. Add layer of corned beef mixture. Arrange tomatoes and sliced potato on top. Cook at 200 degrees for 30 – 35 minutes. Quiet on the home front! It is Wednesday and the house is quiet. The decorator has been here for 2 days and the bedroom is finished. The view is as good as ever but the green emulsion sets the scene. It's F&B - same as the kitchen. We now use acrylic eggshell as it is so practical and easily washes - a must when we have 2 large german shepherds. New door handles finish off the job, re-positioned - not a sign of the previous furniture removal. and then there is my washstand - isn't it lovely. It was my dad's grandmas - think the white sets it off. A pair of 90" drop x 90" width pencil pleat ( so plenty of gather) fully lined curtains caught my eye. fabric in fact they match better. SO.......the next few days will see me altering the length and hanging them in our bedroom. I figured I would spend £35 on rufflette and lining for the fabric - so that is going on ebay and I am hoping I get what I paid for it. My Q contribution for ABC Wednesday. Bing was 2 on October 28th. Every morning we go to the beach so we packed up some treats for his friends. Sadie sampled the doggy sausages. The weather was ideal for a morning fun session. Sadie is mastering the art of juggling with 2 balls. Angel the husky was there......she was a rescue dog from the local sanctuary. Her new owner is a large fisherman with a very low croaky voice. Every time he shouts her name it makes me smile - just so not what you would expect. We bought Bing a new ball - larger than the tennis balls he likes. This one is easy to kick - Bing seems to be showing signs of a goal keeper. Flora loves Bing - they always have a good run around together. Fellow dog owners - we meet up every morning. Bing with his new ball. Taz, another of Bing's friends. Bing 2 eh? How time has flown.